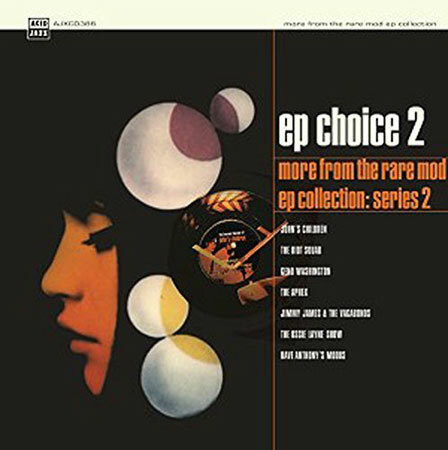 Look out for a review of EP Choice 2 – More From The Rare Mod EP Collection soon – or take a chance now if you like. Actually, you can only pre-order this Acid Jazz release now, as the release date is 23rd October 2015. Probably worth the wait though. The album is the second instalment of the ‘best of’ series from Rare Mod, that being a series of EPs picking out some rare / obscure mod-friendly grooves from the 1960s. Some overlooked, some never released in the first place – and some possibly both. As you would expect from a varied decades, the sounds are across the spectrum, everything from psych and freakbeat through to dance floor soul. If that sounds like your kind of thing and you haven’t invested in the EPs as they have been released, it is definitely worth considering. Full track listing below and if you want a copy of the 27-track album, it sells for £10.99.